Spring is just around the corner. 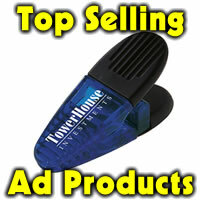 Time to start thinking of ways to partner with other businesses to promote everyone’s businesses. If you have the inclination to market yourself now that spring is here, it would be a great time to find someone who is trying to reach a similar clientele. If you can do a marketing piece and mention both of your businesses and do it creatively, you can each send out to a list of clients. Someone who does flowers and a caterer might send out to wedding shops or bridal consultants. Yes they may have their own contacts but a good wedding planner has a big toolbox of referral partners they do business with. Same for bankers, insurance agents, printers, any business that a new or established business might need to jumpstart some activity. What to say in a marketing piece or mailing? Are you doing something different, offering a new or unique service or twist on an established practice? Let the public know. Are you greening your practice, business or office space or procedures? That’s a hot topic right now. Are you offering a donation to a cause that might entice someone to do business with you? If so, let them know. The time to take action is now. No time like the present to get the word out. 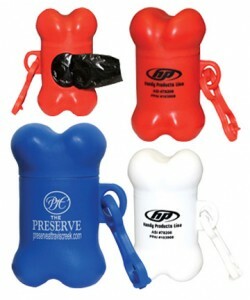 An idea for a pet related promotional item is the Pet Trash Container or Dog Pooper Scooper (read more here). Comes in black or white with variety of accent colors. Great for the pet lover who walks their dog and are constantly looking for cat dog pet supplies. Handy, useful, different. Spring into action now, why wait for another moment to go whizzing by. If you don’t send something out, your competitor will and guess who the recipient will do business with?